A few nights ago, we were looking at the skies through a 10-inch telescope set up in our backyard. The neighbor’s security light made a mockery of any pretense of dark-sky observering, but nevertheless, there’s something remarkable about stepping outside and having your retina absorb light that’s been on the wing for 10 million years. With the aid of lurid false color, the sense of galactic catastrophe is unmistakable. M82, in particular, emanating distended neon-red lightning bolts, looks positively unwell. The two galaxies, of course, are in the process of merging, and over the next billion years, will convert their delicate dynamical structures into the frenzied agglomeration of orbits that constitutes an elliptical galaxy. 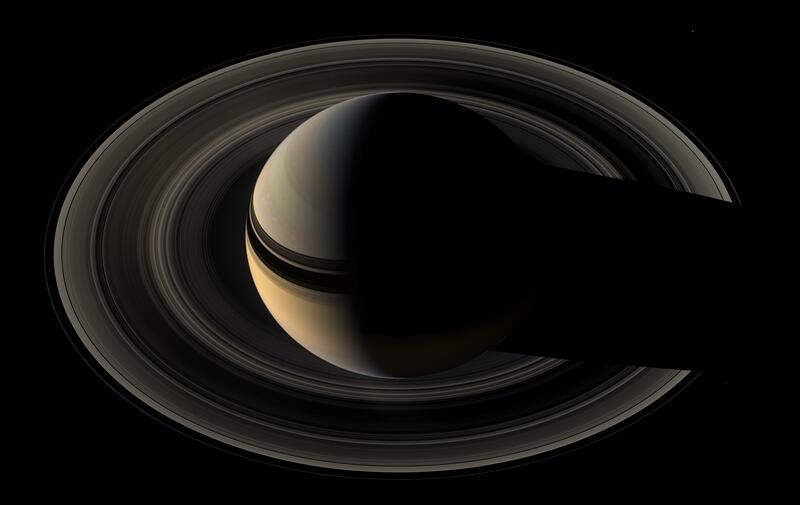 Saturn, too, was high in the sky, and looked like this. After seeing M81 in the Miocene, it’s slightly jarring to note that the light from Saturn had left the planet after dinner while I was doing the dishes. With the low-power telescope view, it’s easy to see why Galileo was puzzled when he first saw Saturn under magnification. Huygens’ accomplishment in figuring out the true geometry of an inclined planet with rings suddenly seems much more impressive. And now, there’s spacecraft all the way out there, sending photo after incredible photo back to the Deep Space Network. I was very happy to hear that Cassini’s first mission extension was approved. M81 and the rings of Saturn are separated by an enormous expanse of scale and time, but they are both excellent examples of disks whose detailed structures are created by a combination of external forces and self-gravity. The protostellar disk that gave rise to the solar system falls in this same category of object. An important issue in the study of protostellar disks is the identification of when a disk is massive enough to experience the development of spiral instabilities. Stefano (in addition to all the work he’s been doing on the systemic project) has been doing a detailed study of this problem. He’s found that the presence of a gap in a self-gravitating disk makes the disk far more prone to spiral instabilities than it would otherwise be. Gaps are unavoidable if a massive planet is forming in the disk. The spiral instabilities generate mass and angular momentum transport that efficiently attempt to fill in the gap. This new phenomenon has potentially very important ramifications for our understanding of giant planet formation and protostellar disk evolution. Stefano’s paper has been accepted for publication in the Astrophysical Journal Letters, and will be appearing on astro-ph very shortly. In the meantime, here’s an advance copy in .pdf format. If you start with 170 moon-sized planetesimals in the inner instead of our current configuration, you presumably end up with a number of different possible initial inner solar systems by the time they all accrete or eject. If you run the alternate systems generated by this method with a real jupiter, do they tend to be more or less stable than the one we have? In other words, is our present inner solar system configuration unusually stable, or unusually dangerous? It’s not fully clear, since the level of analysis that’s been applied to the solar system configuration hasn’t been applied to the systems that arise from the accretion simulations. My guess is that our configuration is more stable than the average, but at this point, that’s just a guess.